Ranked in the top 10 worldwide, photographers and directors Winkler+Noah are an award winning Italian duo that has been working together since 2006 both in Europe and the USA. After working for years as graphic designers and art directors we feel photography is a prodigious art expression and great source of inspiration. Lurzer’s Archive magazine ranked us in the “top 10 world photographers”. Every year we are listed in the 200 best photographers and 200 best digital artists. We tend to the post production ourselves to have full control on our photos and guarantee the highest standard quality work. Our studio also offers cgi services and all that concerns pre production of film and photo shootings. 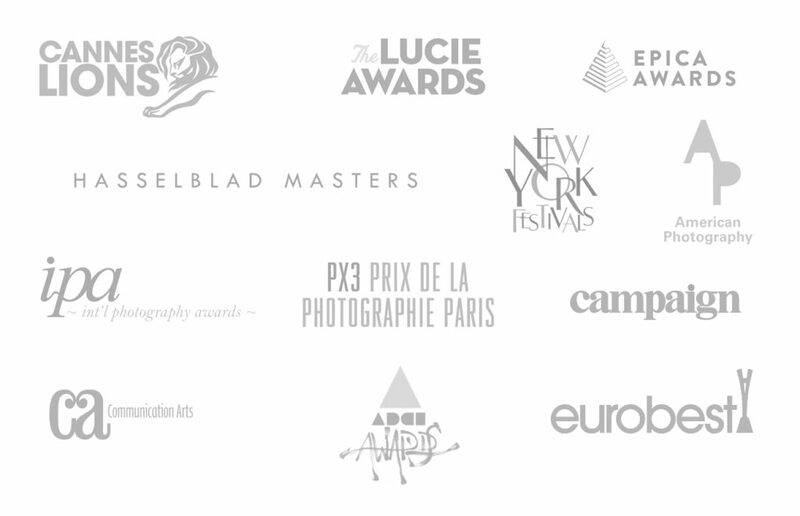 New York Festivals – American Photography – Hasselblad Masters – EPICA Silver Photography Award – Px3 Prix de la Photographie – IPA Los Angeles – Communication Arts – Eurobest – ADCI Awards – Campaign UK – Campaign India – The Lucie Award and lot of others photography prizes. 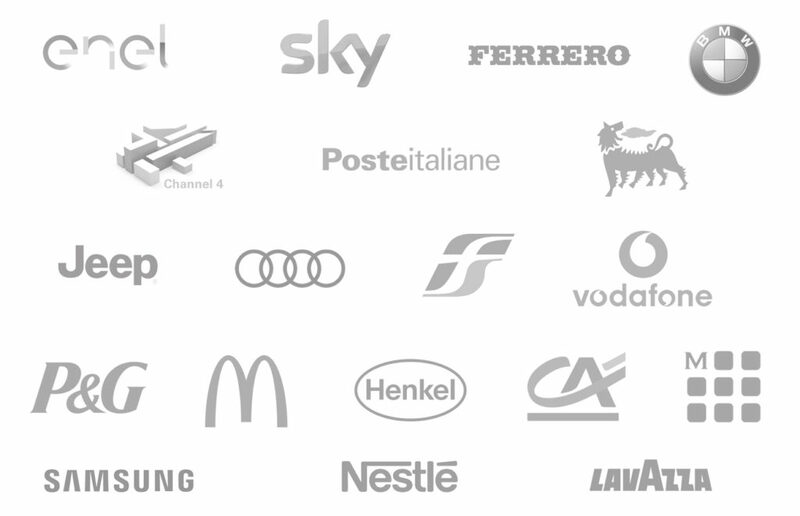 Alitalia, Allianz, Antica Gelateria, Aprilia, Artsana, Audi, Averna, Banco di Sardegna, Bio Presto, BMW, Banca Popolare di Milano, BNP Paribas, Buick USA, Channel 4 UK, Corriere della Sera, Credit Agricole, Crime+Investigation, Enav, Enel, Eni, Ferrarelle, Ferrero, Ferretti Yachts, FS Ferrovie dello Stato, Fincantieri, Ford, Garmin, Gatorade, Gazzetta dello Sport, In Alpi, Infasil, Italo, Jeep, Johnson & Johnson, Juventus FC, Kerakoll, Land Rover, Lancia, Lavazza, Le Roy Merlin, McDonald’s, Mini, Moleskine, Motta, National Geographic, Nestlè, Nissan, Pagine Gialle, Philips, Pirelli, Poste Italiane, Procter & Gamble, Renault, Repubblica, Samsung, Seat, Sigma-Tau, Sky, Skoda, Sorgenia, Subaru, Telecom Italia, Telethon, Tim, Trenitalia, Unilever, UnipolSai, Vodafone, Volkswagen, WWF, Yamaha. Through out our career we have worked with many celebrities such as the singer Skin, Federica Pellegrini, Eleonora Abbagnato, Enrico Vanzina, Derren Brown, Enrico Papi, Alessandro Borghese, Martina Stella, Gregorio Paltrinieri, Gianni Rivera, Gianluigi Buffon, Carlotta Ferlito, Erika Fasana, Clemente Russo, Andrea Pirlo, Paul Pogba, Giorgio Chiellini, Claudio Marchisio, Margherita Granbassi, Flavia Pennetta, Martina Caironi, Sara Errani, Aldo Montano, Tania Cagnotto, Yuri Buzzi, Elena Cucci, Thyago Alves, Arturo Vidal, Frank Chamizo, Antonio Cairoli, Andrea Fondelli, Fausto Desalu, Alessia Trost, Massimo Ghini, Paola Minaccioni, Ricky Memphis, Biagio Izzo, Massimo Ciavarro, Andrea Osvárt, Ralph Palka, Marco Risi, Riccardo Rossi. Winkler+Noah’s most celebrated images are from the projects “The Puppet Show”. 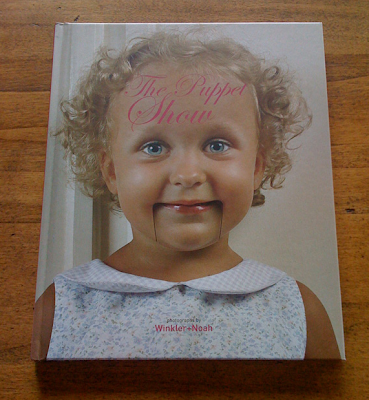 In “The Puppet Show” they photographed 30 children between two and six years old who were turned into puppets. It was a clear critique of show business with the children as protagonists and how they are losing their naturalness. 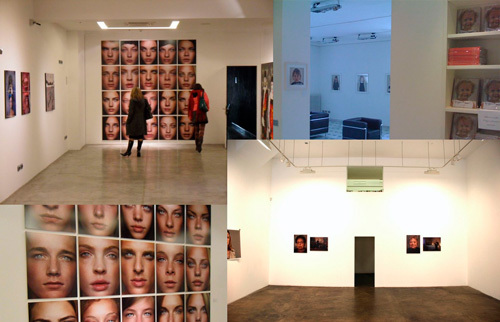 Solo Show: Awakening, Studio 12, Milan. Curator Alessandra Redaelli / The Puppet Show, Artepensiero Gallery, Milan. Curator Silvia Pettinicchio. Collective Exibitions: Farmani Gallery, New York City @Dumbo / Sabina Lee Gallery, Los Angeles / Brera Academy, Milan / Wannabee Gallery, Milan / Campaign Magazine Show, London / Seoul / Rome. All our work, the news and the Interviews to W+N have been published in major newspapers and magazines worldwide, and also in the trendiest creative photography blogs: Corriere della Sera, Repubblica, Vogue Italia, Vanity Fair Italia, TgCom24, Arte, Zoom Magazine, Leggo, Sundance Film Festival (USA), El Mundo (Spain), Publico (Spain), Terra (Spain), El Espectador (Spain), Courrier Japon (Japan), Campaign India, Hug Magazine (Russia), Dash Magazine (UK), Fubiz (France), Designboom (Italy), Trend Hunters (USA) and in others hundreds of blogs.